Mon-Fri: 10 a.m. – 8:30 p.m. Sat: 9:30 a.m. – 7 p.m. Sun: 10 a.m. – 6 p.m.
Mon-Sun: 5 a.m. – 12 a.m.
Groceries,, Pharmacy, Tire & Lube Station. Mon-Sun: 7 a.m. – 8 p.m.
Mon-Fri: 8:00 a.m. – 6:00 p.m.
Mon-Sat: 9:00 a.m. – 5:00 p.m. Rent an RV, and enjoy the comfortable convenience and spontaneous adventure of recreational travel. You don’t need to OWN a recreational vehicle to ENJOY recreational travel! We offer Prescott’s largest selection of the most popular Polaris RZR ATV’s and we pride ourselves on superior customer. All of our ATV rentals come with proper safety equipment including helmets, goggles, gloves, gas and tie downs. Our rental packages are great for last minute adventures, family events, trip to the dunes, and group parties. Born To Be Wild Adventures originated in Pismo Beach California. Ocean & lake kayaking tours, hiking, mountain biking and more. It was a dream started by my father, nature and fitness enthusiast, Mycah Dilbeck. Born To be Wild is back, and moved to Arizona. With the same dream, to be the avenue that connects you to outdoor adventures. We are operating pick up and drop off of kayaks in Prescott Arizona (Watson, Willow and Goldwater Lakes). Prescott Valley’s outdoor aquatic center is located in Mountain Valley Park and features a zero-depth entry pool with a mushroom fountain that cascades water from above. Mon-Sun: 8 a.m. – 9 p.m.
Fri & Sat: 10 a.m. – 9 p.m. Sun: 11 a.m. – 6 p.m.
Mon-Sat: 9 a.m. – 5:30 p.m.
We take great pride in our work and the bicycles we sell, that’s why we decided to carry only the best bicycle lines in the business. Come on in to meet us and check out our selection or you can browse through our site and see what we have to offer. Mon-Fri: 8:30 a.m. – 3:30 p.m.
Prescott Cycle Service is an ever expanding full service parts and repair shop located off of Willow Creek Drive on Sandretto ( Behind Galpin Ford). We service all major brands and models of motorcycle, ATV and motor scooter. PCS also sells and installs performance parts, tires and brakes and will always have a great specials for you! Mon-Sat: 9 a.m. – 7 p.m.
Manzanita Outfitters has been located downtown in the Depot Marketplace since 2011, close to most of our customers and the fun events that go on in town. We also offer a complete bike shop, Manzanita Cyclery with accessories, bikes for sale and for rent, and expert repair and tune-ups. Watson Lake Inn Bed & Breakfast, located next to Point of Rocks RV Campground. Have family or friends without an RV stay at Watson Lake Inn, which provides a secluded ambiance and spectacular views of the Granite Dells, Mingus Mountain, and the San Francisco Peaks in the distance. Experience a unique lodging experience in Prescott Arizona. Yavapai Regional Medical Center (YRMC) was incorporated in 1942. What started as a simple, community hospital in the old Jefferson School building on Marina Street is today a state-of-the-art healthcare system with two acute care hospitals, a network of primary and specialty care clinics, outpatient health and wellness centers, cardiac diagnostic centers, and outpatient medical imaging centers. Sat – Sun: 9:00 a.m. – 4:00 p.m. When you’re sick, you look for convenience and affordability from your doctor. We know. That’s why NextCare Urgent Care in Prescott is open late daily and is easily accessible from Willow Creek Road and Green Lane. 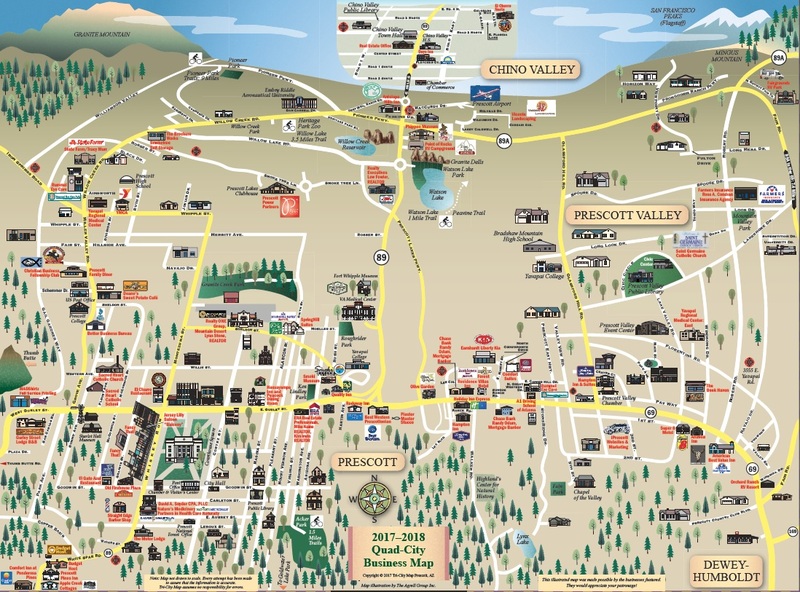 Add to that top-notch medical providers and a caring staff, and you have a winning combination of quality and care in Prescott. We hope you don’t get sick or injured, but if you do, we’ll be here to help whenever you need it most. Avalon Storage has security cameras on the property. The property is gated and has rodent control. . Conveniently located in the heart of Prescott, AZ. Avalon Storage offers commercial storage and RV Storage spaces for rent. Sat: 9 a.m. – 5 p.m. Sun: 10 a.m. – 4 p.m. Sat:9 a.m. – 1 p.m. Sun: 12 p.m. – 4 p.m. Anytime Taxi service will provide safe, courteous, and reliable transportation for all our customers. For straightforward, professional propane service—where you want it, when you want it—trust Yavapai Bottle Gas. Feel free to sign-up for Monday delivery on our log within the office. Contact Allen’s Mobile RV Service regarding any of your RV repairs. Winterization, Overall Coach Inspection, Stabilizer/Leveling Jacks, Furnace Repair, Appliance Service & Repair, Roof Repairs & Resealing, Vent replacements, Water systems repair and Electrical Diagnose and Repair. A&E Dometic Certified. Onan & Kohler Generators, RV Appliances, A/C Units, Holding Tanks, Electrical & LPG Systems. Available for towing your travel trailer, 5th wheel, motor-home to any destination. RV / Auto Wash & Detail to your campsite. Serving all of central Arizona since 2002, we are a family owned and operated business offering a full array of cleaning and detailing services for autos, trucks, boats, RVs, and aircraft. We are licensed, fully insured, and happy to provide references upon your request.